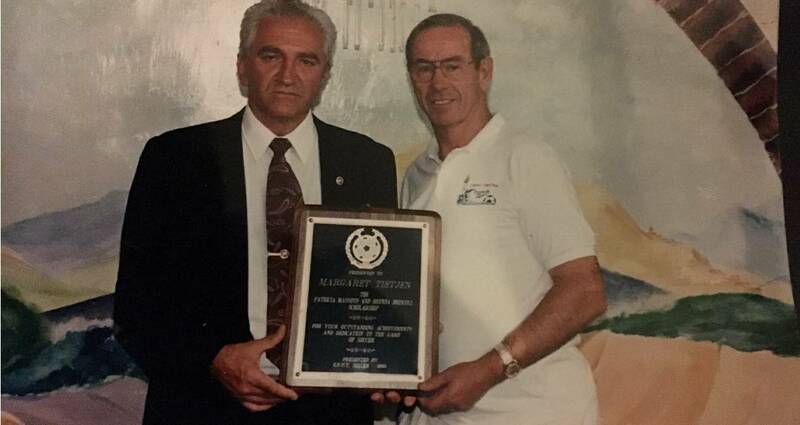 Former Long Island Junior Soccer League president Peter Collins, one of the most influential individuals in LI and New York soccer, has died. Collins passed away early Saturday morning, Eastern New York Youth Soccer Association president Richard Christiano said on Twitter Saturday. He was 87. “Sad to report that my friend and mentor, USSF life member and US Soccer Hall of Fame member Peter Collins passed away last night. Rest in peace,” Christiano wrote. During Collins’ 26-year reign as league president, the LIJSL grew tremendously in unprecedented ways as it became the largest soccer league in the United States and one of the most impactful youth organizations as well. Known as a humble man despite his influence, Collins was inducted into the National Soccer Hall of Fame in 1998, and then the Eastern New York Youth Soccer Association and the LIJSL Halls of Fame. While Collins made an impact, he claimed he got more out of his volunteer job than the children did. In 1957, Collins emigrated to the United States from his native Ireland and was a welder for the Long Island Lighting Co. for 32 years. He settled in Hicksville, N.Y., married Annie and had several children, including two sons, Peter and Michael Collins, who made their mark in the beautiful game. Not surprisingly, they played soccer and Collins coached youth teams there, guiding the Hicksville Americans to the U.S. Youth national final four. When Collins took over as president in 1977, the youth soccer boom was just beginning as the league had gone through nine presidents over its first 11 years. The great Pele had just retired from the Cosmos, who were just only beginning their amazing run in the original North American Soccer League. 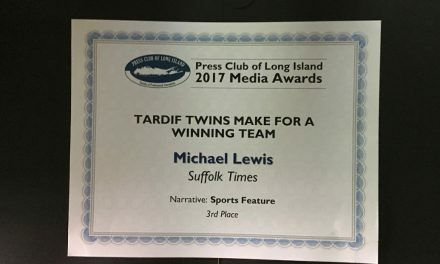 The LIJSL? Even thought it was 11, it was still in many ways, taking baby steps. Then Collins came aboard and with a board of directors with vision, changed the shape of the league, and in many respects, youth soccer as we know it. Under the Collins’ regime, the LIJSL more than quadrupled in size from 300 to 1,475 teams. The league added several high profile-programs, including a Special Children’s program, an annual convention, the Exceptional Seniors Games, the Sportsmanship program and built a soccer park in Plainview, N.Y. that now bears his name — the Peter C. Collins Soccer Park. Collins had a talent of recruiting the right people to fill chairmanship of committees and other projects. During his 20th-anniversary testimonial at the Brookville Country Club in 1997, Collins’ contemporaries talked about his impact on youth soccer. Added Berling-Manuel, Somehow Peter Collins brings together the diverse groups of people. I’ve been told that nobody can say no to Peter Collins. …. He brings out the qualities in you that you don’t ever see in yourself. … He makes things real every day. 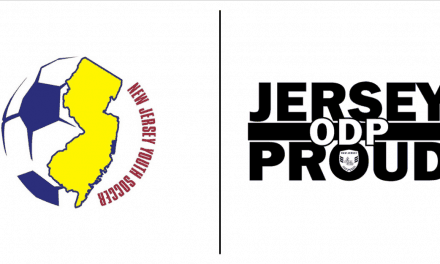 The LIJSL for 20 years has had a unique and special impact. There is one reason for that — Peter Collins. Tom Mulroy, a mainstay at the March conventions over the years with his coaching clinics, flew in from Miami. And praise came from closer to home as well. 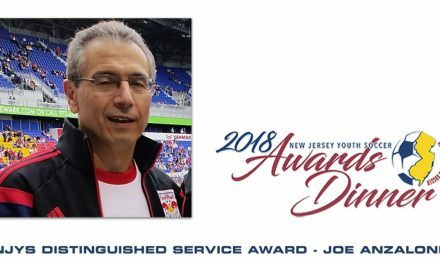 “The ENY [Eastern New York Youth Soccer Association] board and myself will always be grateful to the work that Peter has done which has benefitted Long Island as well as the whole state association,” said Livio D’Arpino, who was the first vice of the Eastern New York State Soccer Association (adult) and a member of the ENYYSA. Richard Nuttall, the coach of the Hofstra University men’s team, agreed. “I cannot imagine a more forceful and honest advocate of the great game of soccer,” he said. Added Nanci Apostolides of the Long Island Soccer Referees Association. “You’ve been an inspiration to me and the … association,” she said. By closing every talk with God Bless! President Clinton sent a congratulatory note as well. “American’s strength as a nation is through volunteerism,” he wrote. That 1997 was a surprise party that Saturday night. Collisn thought he was going to spent the evening with friends. Well, he was correct, but never thought it would be 300 of them in one of the most memorable evenings of his life. “He was totally and thoroughly surprised,” said Addie Mattei, then a LIJSL board who wound up succeeding Collins as president. “He never suspected a thing. What a great night it was. He deserved it. Collins received a number of gifts that night. The league presented him with his wife Annie all-expense trips to Ireland and to Hawaii, the site of U.S. Soccer’s 1998 AGM. “I would like to thank God, to thank this country of ours and Annie and my family,” Collins told the audience. On New Year’s Day 2004, Collins stepped down as president. But no one came close to the ideas and legacy that Peter Collins had forged to change youth soccer on Long Island. Collins is survived by his wife Annie, sons Peter and Michael, daughters Noreen and Beth, and 15 grandchildren. He died early Saturday morning at a Long Island hospice facility with Annie by his side.